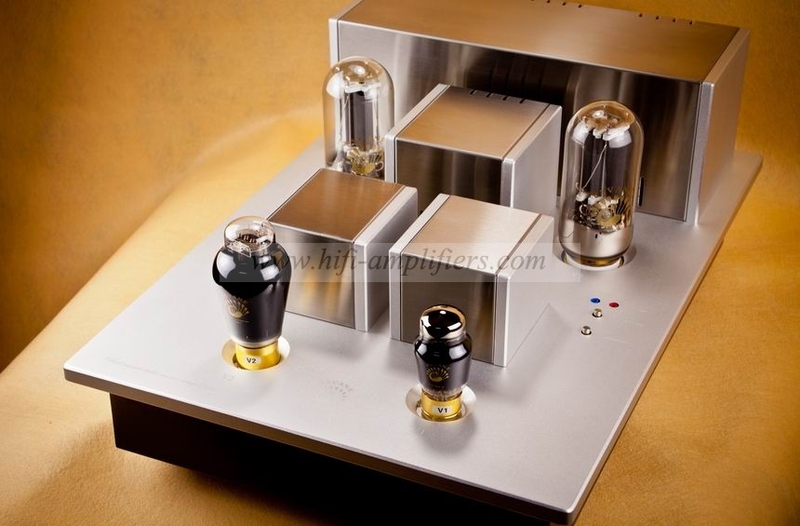 This pair of power monoblocks are designed with 300B tube to drive a pair of 845 vacuum tubes to produce beautiful midrange but with loads of power. 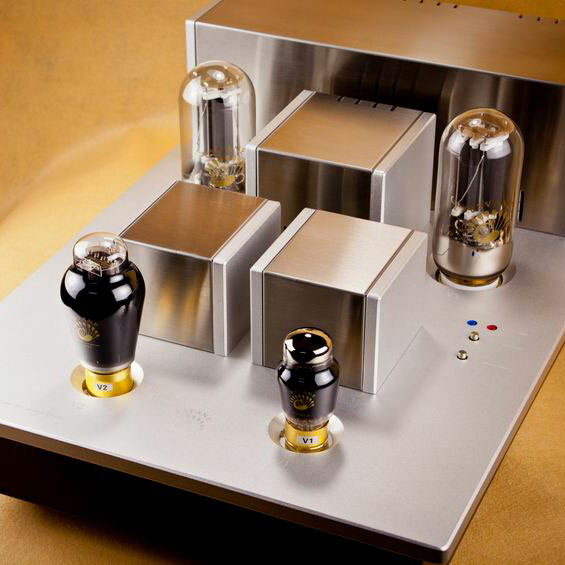 It is designed to address audiophile's complaint that '300B amps are not powerful enough to drive those non-high efficiency speakers, but I still want the 300B sound'. The double power single ended 845 power will overcome those limitations, so that even with a pair of 84-89dB regular efficiency speakers, you can still enjoy the silky smooth sound of 300B with 845 tube's large sound stage. 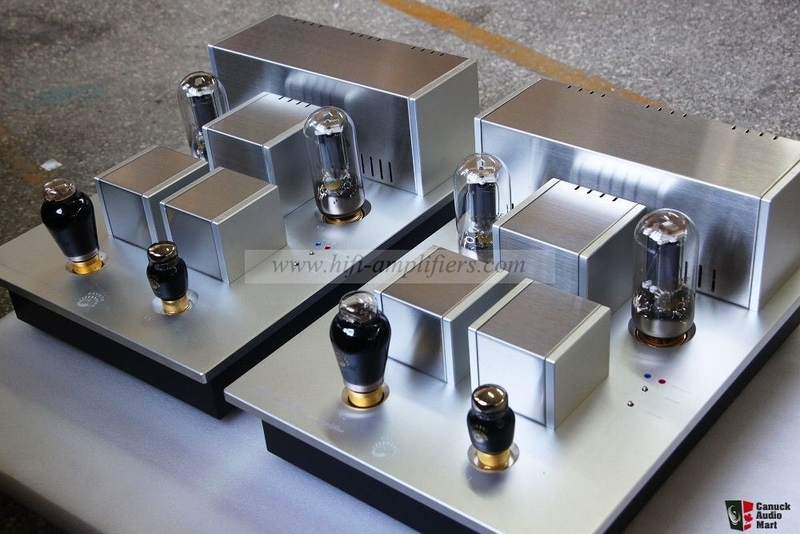 Compared to the commonly seen Push-Pull 845 high power monoblocks design on other brands, which will more or less have crossover distortion as two tubes are used in push-pull design , the T845 uses Single Ended Triode paralelle circuit design - you benefit of superior single ended triode design without crossover distortion, plus double the power of regular SET amps. 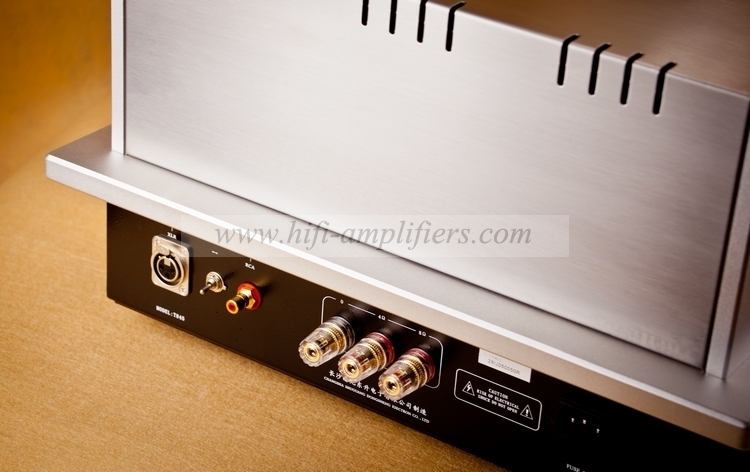 It provides 50w pure Class A power for each channel. 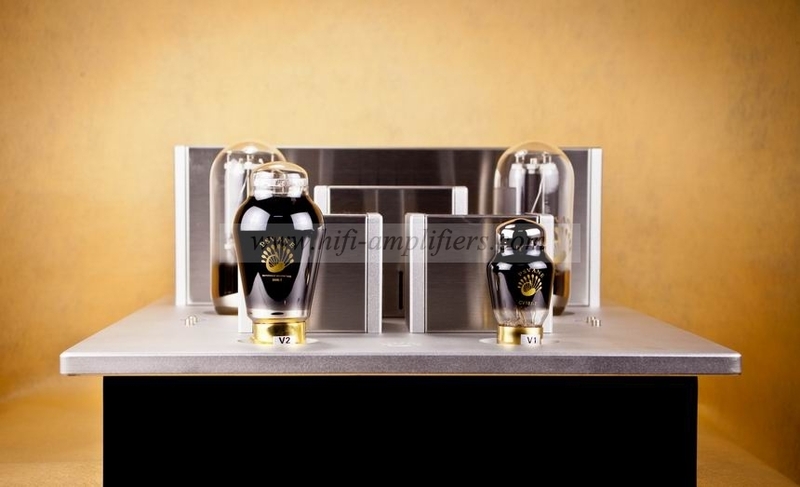 The King of all vacuum tubes - 845 tubes are used as output power tubes to deliver the beauty of 300B midrange sweetness, plus the punch and feel of spatial 3-D sound stage. 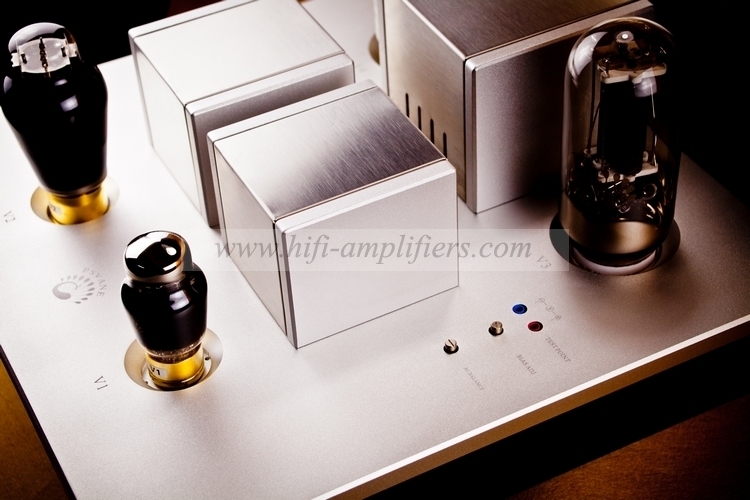 You never feel the sound is 'thin' from this pair of power amps. Tubes included: 4 x 845 tubes, 2 x 300B tubes, 2 x 6SN7 - all clear glass stanard tubes.